I was able to make a rare trip out of Portland a couple weekends ago and brought along some old-timey photos to play with. The old photo in this one is from 1922 and is from the Maine Historical Society's Maine Memory Network. 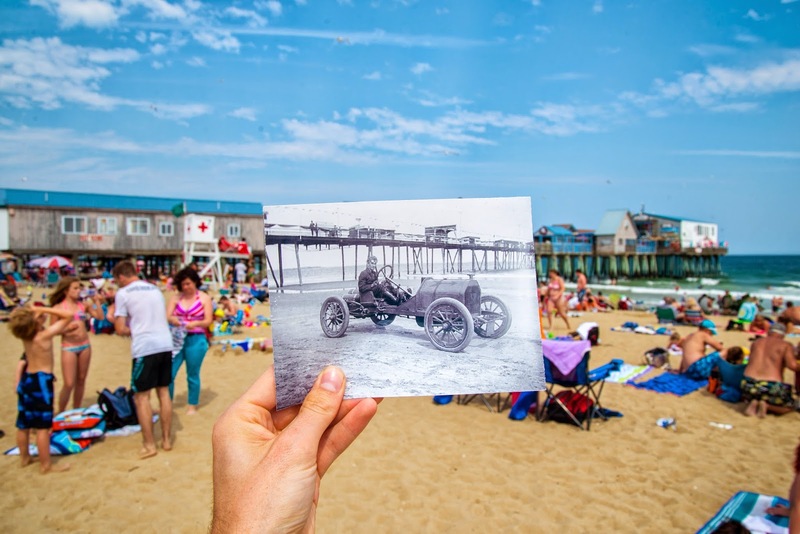 Apparently the pier used to be the start/finish line for automobile races at the time.